Who needs a guard dog, or guard goose, when you can have a guard spider? 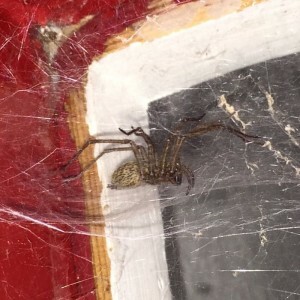 I have two good examples above my front door: a large false widow, and a house spider living just a couple of inches from it. 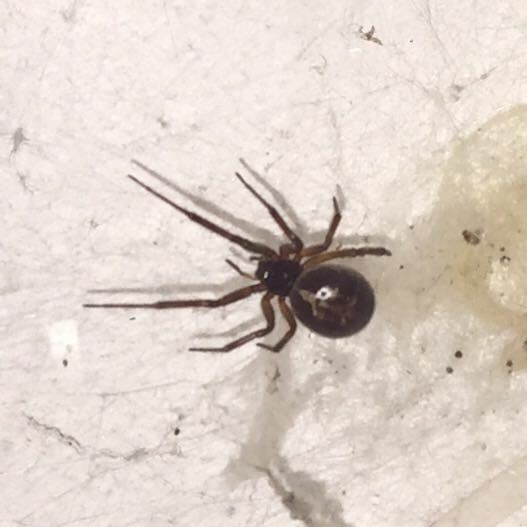 The false widow (Steatoda nobilis) got a lot of bad press over the last couple of years, as a relative of the infamous Black widow, and being an ‘immigrant’ the papers love to demonise them. An immigrant from over 100 years ago mind you. Still, if that keeps tabloid-rading miscreants from my door, then all the better! Still, I doubt those miscreants are well informed in spider identification. It does surprise me that two large spiders can live so very close to one another without any aggro. Their webs literally intermingle, and I’ve seen them sitting within an inch of each other.